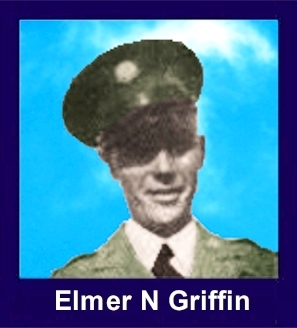 The 35th Infantry Regiment Association salutes our fallen brother, PFC Elmer N. Griffin, 38082992, who died in the service of his country on August 15th, 1943 in Vella Lavella. The cause of death was listed as MIA/KIA. At the time of his death Elmer was 27 years of age. He was from Navarro County, Texas. The decorations earned by PFC Elmer N. Griffin include: the Combat Infantryman Badge, the Bronze Star, the Purple Heart, the Asiatic-Pacific Service Medal, and the World War II Victory Medal. Elmer has a memorial stone in the Manila American Cemetery but was buried at sea on 8/15/43. He was among several wounded by strafing Japanese aircraft after landing on beach. He later died of his wounds aboard an LST while being transported to a hospital. He was buried at sea.